Four football programs that played in Conference USA in 2012 will compete as members of the new American Athletic Conference this fall. How many C-USA championships did those four teams combine to win? Houston won two C-USA championships (1996, 2006) and UCF won two (2007, 2010), for a total of four. Neither Memphis nor SMU can claim a C-USA title in football. The Louisville Cardinals won three C-USA championships (2000, 2001, and 2004) before departing for the Big East in 2005. They'll compete in the American this season before departing for the ACC. 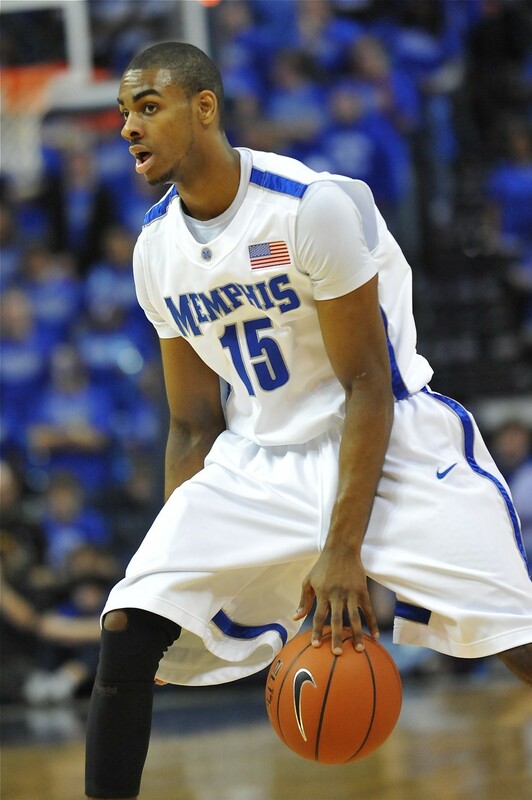 Tiger guard Joe Jackson will enter his senior year with 1,209 career points and 413 career assists. There are only four former Tigers who rank ahead of Jackson in both categories. Name them. 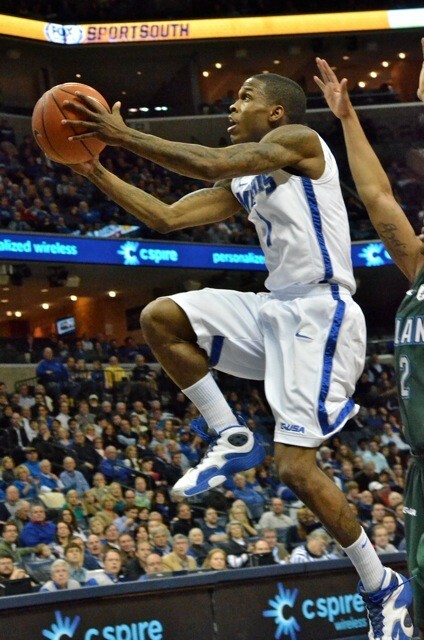 The Little General (#10) in action. Memphis senior quarterback Jacob Karam will have the chance this fall to lead the Tigers in passing yardage a second straight season. 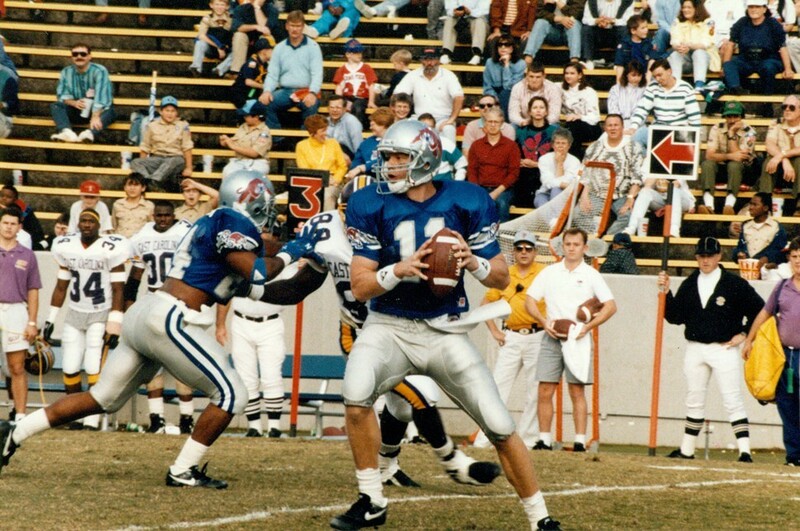 There was a nine-year stretch in Tiger football history — 1993 to 2001 — when nine different quarterbacks led Memphis in passing. How many of those signal-callers can you name? 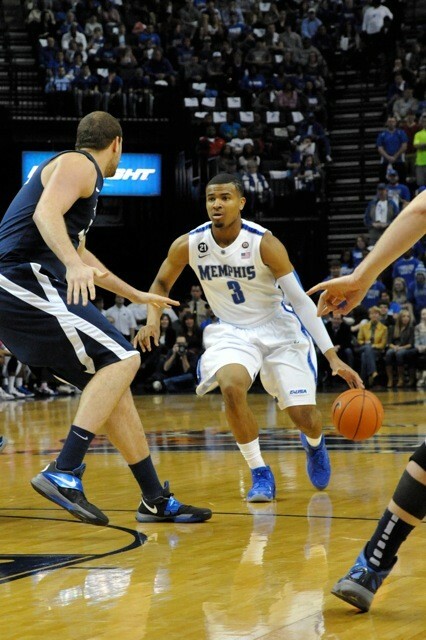 There were some disappointed Memphis basketball fans last Thursday when Adonis Thomas and D.J. 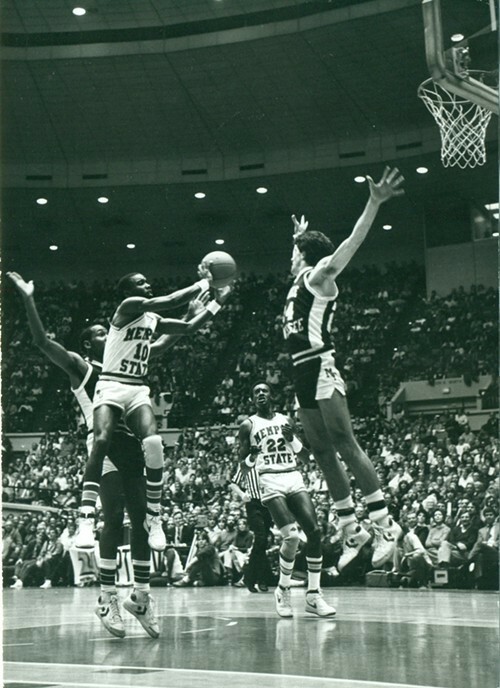 Stephens were not selected in the NBA draft. Which spurred a two-part question for this week. * How many players from Josh Pastner's four Tiger teams have been selected in the NBA draft? Two. Elliot Williams (22nd pick, Portland) in 2010 and Will Barton (40th, Portland) in 2012. * How many players from John Calipari's first four Tiger teams were selected in the NBA draft? Two. Dajuan Wagner (6th, Cleveland) in 2002 and Antonio Burks (36th, Orlando) in 2004.